Carbon Africa facilitated an East African Community (EAC) Training Course on Climate Finance that was successfully held in Kigali, Rwanda between 10th and 14th of February 2018. The course was organised by USAID Planning for Resilience in East Africa through Policy, Adaptation, Research, and Economic Development (PREPARED), through the EAC. 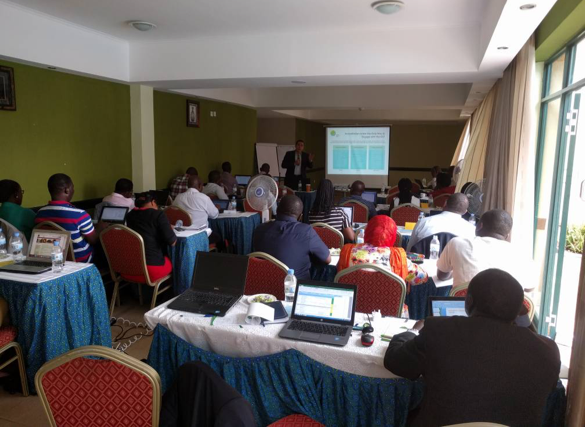 The training course was attended by more than 40 participants drawn from the organizers, participants (representatives of the public and private sector from the EAC and member states) and contributors (AF, EADB, GIZ, GCF and UNFCCC). The 5-day course was split into two overarching modules — first building the foundation by ensuring all participants were up to speed on the underlying context and concepts; and second a deep dive into the specifics of accessing climate finance. It also included a half day trip to Gigawatt Global 8.5MW solar plant and Strawtec Zero Carbon factory as Rwandese examples of projects benefiting from climate financing. The overall objective was to encourage enhanced regional engagement in accessing global and local climate finance with a focus on financing available under the Green Climate Fund and Adaptation Fund.